Indian Cricket icon #ViratKohli says he fashion plays an important role in presenting who you are and how you feel. 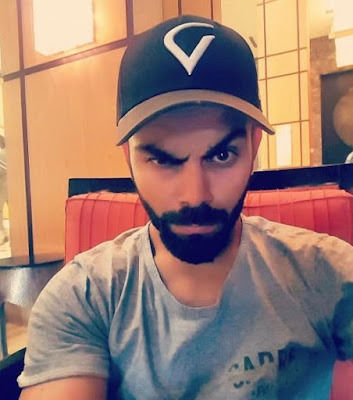 When asked what fashion means to him as an athlete Kohli said, "I think fashion plays a very important role in presenting who you are, how you feel and how confident you feel about yourself. Even the gear that I wear on the field isn't random. It is designed in a way that it syncs with me and looks the way I want it to. I think a lot of detailing goes into things that you wear on a daily bases and for me as an athlete on a pitch as well. I think that's a style statement in itself. I don't use random stuff as an athlete I design it myself. And that I think is the essence of knowing yourself and presenting it to the world with that confidence." While talking about his collaboration with New Era Virat said, "I took some time out when we were playing the Champions Trophy in England and went to their office to work on the project. They were really excited to have me there as well. I think we spent about close to 3 hours there, going through the possible designs and materials. We went through a lot of caps, there were many styles and a mix of types of caps laid out for me to see. So I knew what it was going to look like in the end. Just to be able to sit there and design my own cap was pretty cool. I was pretty happy and excited about the collaboration and walked out very satisfied." The headwear collection has a logo designed by Virat himself and the caps are launched in three major styles - versatile, performance and personal.